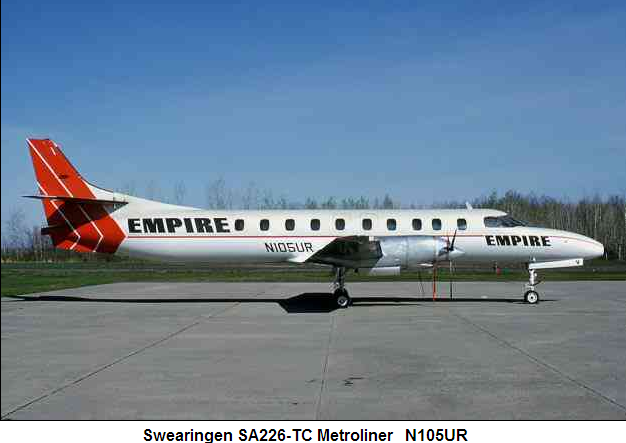 Empire Airlines was a regional airline serving the Northeastern United States beginning in 1976. In 1985, the airline was purchased by Piedmont Airlines, which itself was later purchased by USAir and whose name now lives on in the US Airways Express network. Founded by Paul Quackenbush, Empire Airlines began with its hub at the Oneida County Airport serving Utica and Rome, New York. Much of its early growth came by picking up routes abandoned by Allegheny Airlines as they concentrated on service to larger cities. Empire expanded throughout the early 1980s to destinations in the Northeast and Mid-Atlantic states. For a time, Empire aircraft also provided feederliner service to Pan Am as "banner carrier" Pan Am Express at John F. Kennedy International Airport. Toward the end of its existence Empire announced plans to phase out its turboprop fleet and become an all-jet regional airline. Coinciding with this was a decision to reduce their presence in Utica and relocate their headquarters and most of their operations to Syracuse Hancock International Airport. Empire was founded in the 1970s as a small carrier based in Utica. 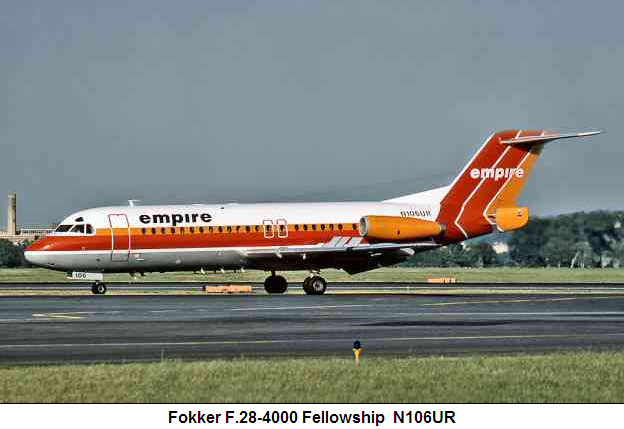 After USA Airline Deregulation in 1978, the airline saw potential to grow a hub operation at larger nearby Syracuse using a fleet of 80-seat Fokker F-28 regional jets and smaller Swearingen Metro turboprops. Empire acquired additional F-28s from Philadelphia-based Altair Airlines after that airline shut down in 1982. 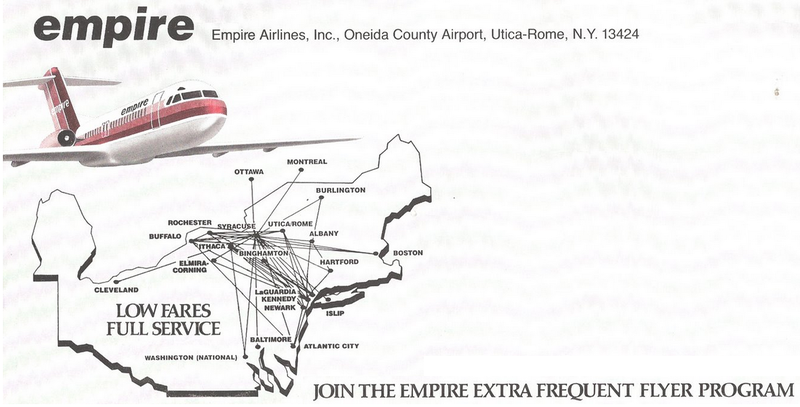 In addition to hub flights at Syracuse, Empire offered direct flights from other medium-sized Mid-Atlantic cities like Rochester and Buffalo to major business centers like New York and Boston. 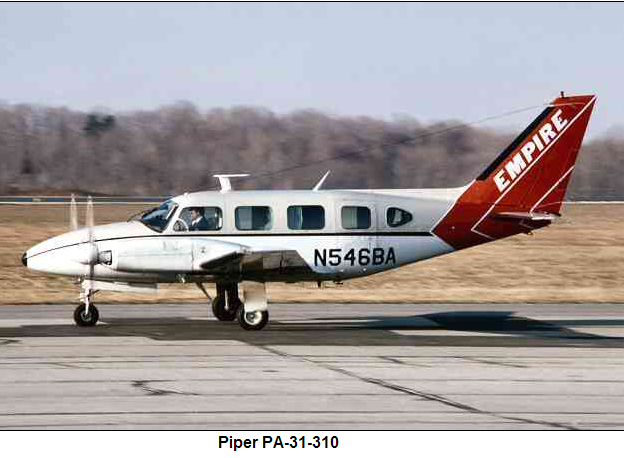 Empire's success attracted the attention of Piedmont Airlines, a pre-Deregulation "local service carrier" based in North Carolina. After Deregulation, Piedmont expanded into the Northeast, starting with a hub opened at Baltimore-Washington International Airport in about 1982. Piedmont bought Empire in 1985 and merged them into itself on 1 May 1986. Syracuse joined Baltimore, Charlotte, and Dayton, OH as hubs in Piedmont's system. In about 1987, Piedmont opened an extension to the south concourse at Syracuse Hancock Airport to handle additional growth. The dominant pre-Deregulation local-service carrier in the Mid-Atlantic and Northeast, USAir, saw Piedmont's growth into the Northeast as a threat to its lucrative and often previously monopoly routes from medium-size cities such as Rochester, Syracuse and Buffalo. As part of the industry-wide consolidation of 1986–1987, USAir bought Piedmont in 1987. USAir operated Piedmont as a separate unit, including the old Empire Syracuse hub, until they merged Piedmont into themselves in August 1989. By the early 1990s the old Empire Airlines hub was gone, its connecting traffic moved mostly to USAir's key hubs in Pittsburgh and Philadelphia, Pennsylvania. oned by Allegheny, Empire was quick to pick them up. Empire expanded quite rapidly in the late 1970s by picking up stations abandoned by Allegheny. this shot by Bob Garrard at home base Oneida County Airport, Utica, NY in May of 1981.
purchased a fleet of a dozen Fokker F.28s from Holland, and disposed of the Metroliners. were acquired the airline moved its headquarters to Hancock International Airport in Syracuse. owned subsidiary of US Airways Group.